Here is a rare deal on the Kindle DX which is available today only for $269 Shipped. That’s a saving of $110 on the usual hefty $379 price tag. If you have been tempted to buy a Kindle DX then now is of course the time to do it. We are huge fans of the Kindle brand and have owned them since the first generation came out. Now we use our Kindle Fire every day. It is fabulous for reading, but also the huge added benefits of video and internet all for just $199 Shipped have been one of the best purchases we have ever made. 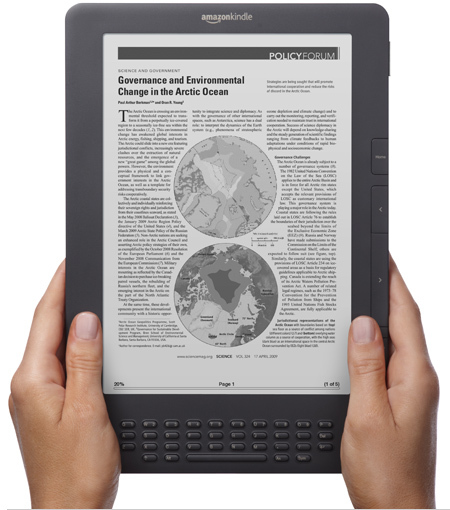 Why consider the Kindle DX over the Kindle Fire or the $99 Kindle Touch ? Two reasons. Firstly and this is the big one. Screen size. The Kindle DX has a 9.7″ screen whilst the others are considerably smaller at 7″ for the Kindle Fire and 6″ for the rest of the Kindle range. The second reason to favor the Kindle DX is that this has free 3G connectivity. So, subject to the availability of a 3G network you can always have connectivity. Really the usual price for the Kindle DX is too high, but maybe this limited offer brings it down to a more sensible price. The last time there was a price drop like this many started to speculate that a larger screen Kindle Fire was on it’s way. Now that certainly would be a much more interesting Kindle than the DX. No real news of course that this is about to happen (but we would guess that Amazon would love to have a 9.7″ display Kindle Fire out for Christmas this year). So is it worth the $269 Shipped deal being offered today? Certainly if you are looking for a Tablet device at a good price then this deal makes the Kindle DX worth considering at the $269 price. Otherwise we would certainly pass and look at other Tablets instead. 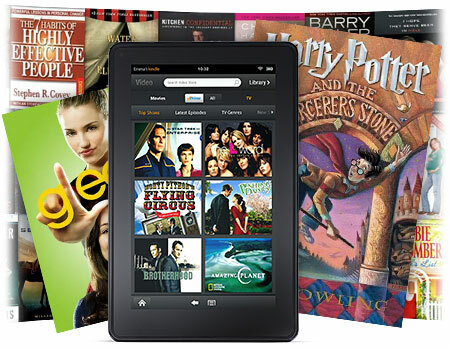 We would without any hesitation recommend any of the other Kindle range, particularly the Kindle Fire which at $199 Shipped we really think is a great price for the fabulous range of features it offers. Get 10 Issues of Disney Family Fun Magazine Free! It’s Back: 48 Rolls of Cottonelle Ultra Double Roll Toilet Paper just $26 Shipped!